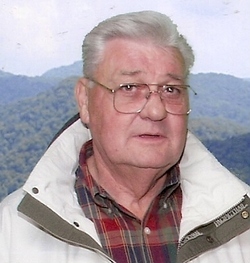 Jesup-James Linford Moncus, 68, passed away Saturday, May 19, 2012 at his residence under the care of Hospice of South Georgia. He was born in Lagrange, GA, raised in Roanoke, AL, and had lived in Liberty and Wayne Counties for the past 30 years. He retired from Derst Baking and Sunbeam after 30 years of service. He served his community as Volunteer Fire Chief with the Walthourville Fire Dept. and as a member of the Walthourville City Council. He enjoyed working in his yard, watching Alabama football, and listening to his scanner. He was a member of the Red Hill Baptist Church in Jesup and the Adult S.S. Class. At the age of two his father, Wilford Moncus preceded him in death. His mother, Iris Fetner and his stepfather, Burl "Shotgun" Fetner who raised him, preceded him in death. Survivors are his wife of 45 years, Betty Moncus of Jesup; two daughters and sons-in-law, Melody and John Neal of Richmond, VA and Penny and Neil Middleton of Ludowici; a son and daughter-in-law, Ken and Debra Wood of Richmond Hill; a brother and sister-in-law, Clifford and Peggy Moncus of Dadeville, AL; grandchildren, Heather, Kenneth, James Corey, Josh, Jeremy, Nikki, Marla, Jodee, and Dariana; great-grandchildren, Gracie, Dallas, Ty, Carolyne, Alec, Kali, and Andia; several nieces and nephews also survive. Visitation will be held Monday, May 21, 2012 from 6-8 pm at the funeral home. Funeral services will be held Tuesday, May 22, 2012 at 11 A.M. from the Red Hill Baptist Church with Rev. Wayne Williamson, Rev. Wayne Higginbotham and Dr. Derrell Rentz officiating. Active pallbearers will be grandsons, Ronald Cercy, Kenneth Wood, James Corey Bates, Josh Wood, Jeremy Wood, and Jodee Middleton. Honorary pallbearers will be the Adult Sunday School Class of Red Hill Baptist Church. Remembrances suggested to Hospice of South Georgia, 117 Drennon Drive, Jesup, GA 31545. Howard- Jones- Nobles Funeral Home is in charge of the arrangements.